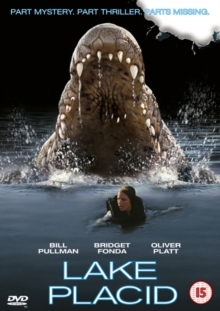 When a man is eaten alive by a mysterious creature in the beautiful Lake Placid area of New England, New York scientist Kelly Scott (Bridget Fonda) arrives to investigate and, examining the evidence, soon confirms that the creature is a giant crocodile. Teaming up with local game warden Jack Wells (Bill Pullman) she uses state-of-the-art equipment to attempt to track down and capture the huge beast. But when they finally encounter their prey, it seems determined to give them a run for their money.